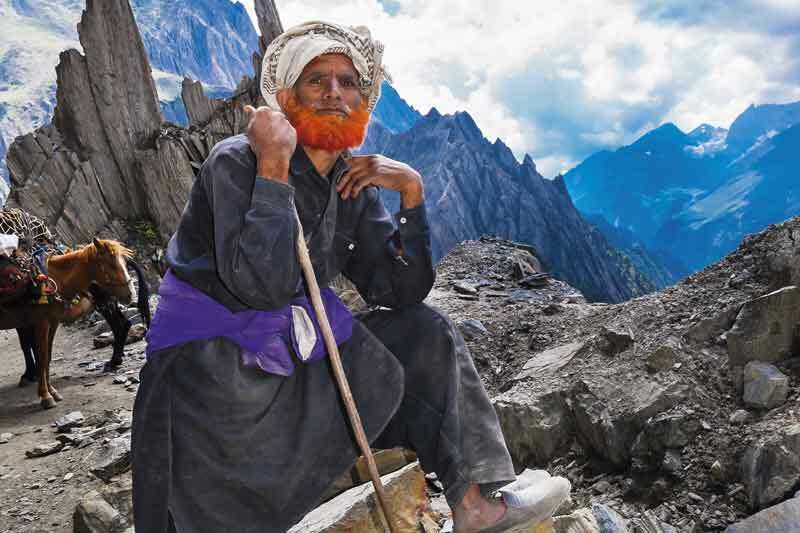 Is the Zojila mountain pass the world’s most terrifying road? Certainly not for the faint-hearted, this narrow rock passage along the Indian National Highway is nine kilometres of Perilous curves and spectacular views. This road from Ladakh to Kashmir lies in the western Himalayas, about 3,500 metres above sea level. 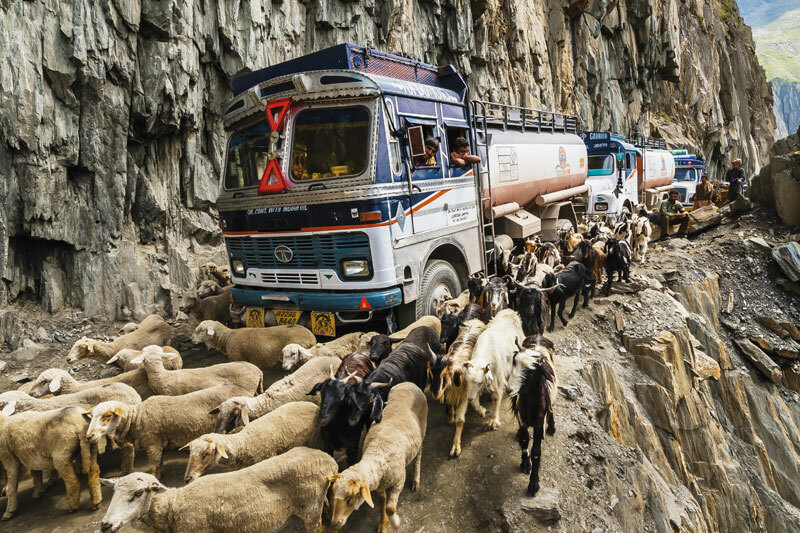 Sheep and goats mingle with travellers as a traffic jam caused by a landslide idles trucks along the Zojila. 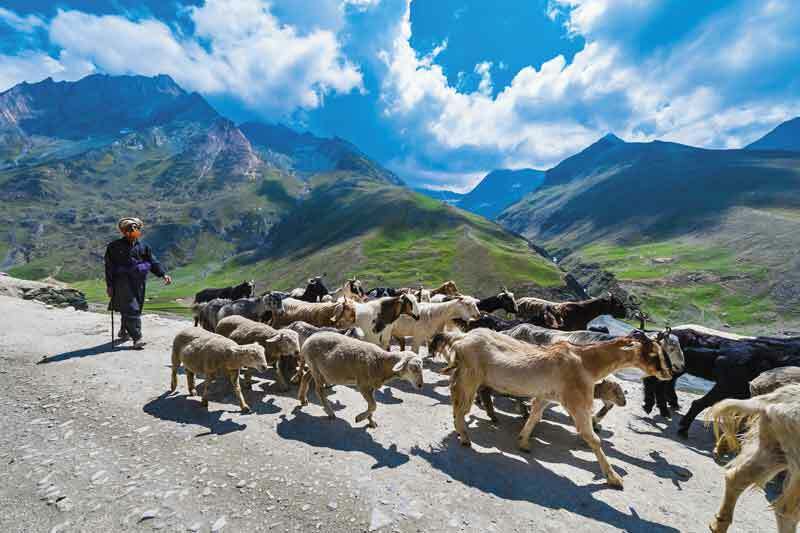 A nomadic shepherd guides his sheep and goats over the Zojila in Kashmir – in the Jammu and Kashmir state of India. Referred to as the Zojila Pass or simply Zojila, ‘la’ means pass in several Himalayan languages.